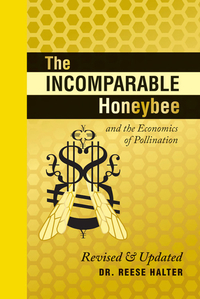 From Dr. Reese Halter comes a remarkable, concise account of the honeybees that have profoundly shaped our planet for the past 110 million years. They are the most important group of flower-visiting animals, pollinating more multi-billion-dollar crops and plants than any other living group. Since prehistoric times humans and honeybees have been inextricably linked. This book is rich with interesting and humbling facts: bees can count, they can vote, and honey has potent medicinal properties, able to work as an anti-inflammatory, antibacterial, antifungal, antioxidant, even an antiseptic. The fate of the bees, whose numbers have been beleaguered most recently by colony collapse disorder, lies firmly in the hands of humankind. As such, it is our job to ensure their health, protect the habitats within which they live and communicate to others the vital link that human society shares with the remarkable honeybee. Dr. Reese Halter is an award-winning conservation biologist, syndicated science writer, TV host and father. He is a sought-after public speaker and founder of the international conservation institute Global Forest Science, through which he regularly visits schools and encourages children worldwide to embrace conservation, science exploration and learning. Dr. Reese lives in Los Angeles, California, and can be contacted through www.DrReese.com.